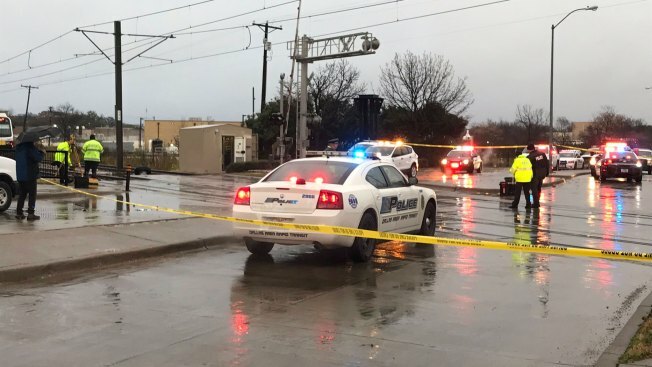 One person was killed and three others injured Thursday morning in a crash between a car and a Dallas Area Rapid Transit light-rail train in Richardson, authorities say. According to a DART spokesman, the crash happened before 6 a.m. at the Buckingham Road crossing, near the Spring Valley Station. Initial reports indicated a car went around the crossing arms and was hit by a northbound Red Line train. The driver of the car was killed, the spokesman said. One passenger in the car was transported to a hospital with serious injuries, the spokesman said. Morgan Lyons, DART spokesman, said two passengers on the train reported injuries, one was taken to a hospital with back and neck injuries and the other was treated at the scene. At 11:30 a.m., DART said the crash scene had been cleared and that buses and trains are returning to a normal schedule. Check back for updates for this developing story.